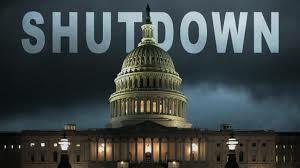 With the government shutdown in our rear view mirror, it’s a good idea to identify the elephant in the room. Instead of saving at a level that can make work optional, retailers are delighted to see that Americans have embraced the mantra, ‘Spend, baby spend!” As I have stated on nationally syndicated TV and radio programs, our habit of spending is terrific for executive bonuses, stock prices, and company profits, but it does not work when the income stops and the spending continues. The day after Christmas 2018 the DOW rocketed over 1,000 points, more than likely based on positive holiday sales data, as noted by Dent Research, December 28, 2018. The other side of that coin is that many shoppers purchased with credit as opposed to cash. Later the same day, the Richmond Fed reported a steep drop in its manufacturing index, while consumer confidence fell more than expected. So we are all in this together and no one gets a pass. If you don’t save for yourself, who is going to do it for you? It’s a new year. And it’s time for a different approach. “For the last quarter century, the American personal savings rate has usually been below 10 percent, and often below 5 percent. In the aggregate, most Americans simply don’t save enough. This is quite aside from any misfortune they might encounter or hardship they might have inflicted on them — and federal employees certainly suffered from both,” wrote Tyler Cowen at Bloomberg, January 28, 2019. Complacency is a luxury Americans cannot afford. Start with your very next paycheck by setting aside 5 per cent of your gross income. Notice how you don’t feel any pain at all. But even if the savings level becomes painful you know you are preparing for the unforeseen in 2019 and beyond. Founder & Owner, Investor’s Advantage Corp. Registered Principal, Securities America Inc.